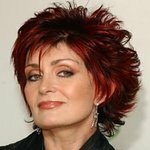 Back in her music-managing and The Osbournes days, Sharon Osbourne used to wear animal fur – but after learning how animals suffer and die for each fur coat, she swore off it for good. That’s why the former X Factor judge was eager to team up with PETA US for a new video in which she speaks up for the smallest victims of the fur trade – chinchillas – and urges shoppers to leave fur on the racks and out of their closets. 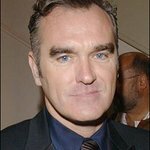 Osbourne is part of a long list of celebrities – including her daughter Kelly Osbourne as well as P!nk, Wendy Williams, Olivia Munn, Penelope Cruz, Eva Mendes and Charlize Theron – who have teamed up with PETA US (whose motto reads, in part, that “animals are not ours to wear”) to speak out against fur.